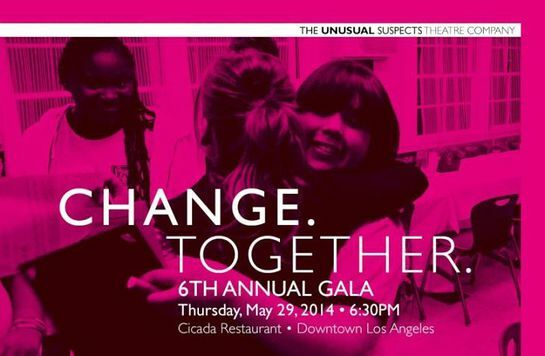 The Unusual Suspects Theatre Company (US), an award-winning non-profit that provides transformational theatre-arts programs and mentorship to underserved Los Angeles County youth and families, is hosting its 6th Annual Gala, “Change. Together.” on May 29th, 2014 at the historic Cicada Restaurant in Downtown Los Angeles. This year’s honorees include Senator Holly J. Mitchell (D-Los Angeles, 26th District), and Bradford Bancroft and the Bancroft Family. Actress and long-time supporter of the organization, Melissa Peterman (WB’s “Reba,” ABC Family’s “Baby Daddy” and Host of ABC’s “Bet On Your Baby”) returns as this year’s gala emcee. 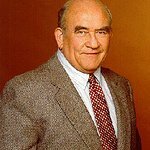 2014 Host Committee Members include Ed Asner, Austin and Virginia Beutner, Viola Davis and Julius Tennon, Hector Elizondo, Bruce Greenwood and Susan Devlin, Mariska Hargitay, David Henry Hwang and Kathryn Layng Hwang, Annie Lukowski, Melissa Peterman and John Brady, Karine Rosenthal and Bob Fisher. The evening will feature presentations by youth participants, cocktails, silent and live auctions, dinner, and an awards ceremony. This year’s gala theme, “Change. Together.” highlights The Unusual Suspects’ commitment to using the power of ensemble-centered theatre to improve lives. Since the organization was founded over 20 years ago, thousands of participants have worked with one another to share their stories. The gala powerfully brings together alumni, along with volunteers and donors, in one room, to commemorate how every supporter plays an important role in social change for the community at large. “As a creative arts therapist, I know how important our shared stories are to our mental and physical well being. The Unusual Suspects have one of the best programs I have ever seen for showing kids and their communities how to share their stories and, thereby, grow together with new self-esteem and confidence,” says Gala Honoree Bradford Bancroft, MFT, RDT, and trustee of The Paul and Monica Bancroft Family Foundation.